5504 Foundation Drive | Woodward Commercial Realty, Inc. 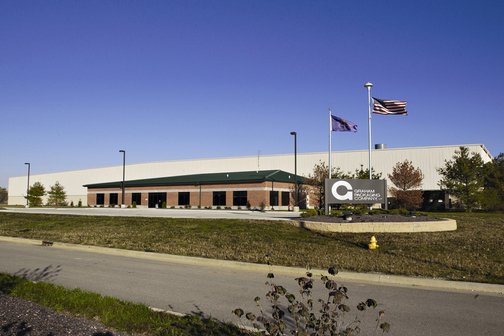 This facility, developed and built by Woodward Development and Construction, includes 6,720 square feet of office space, as well as 140,000 square feet of manufacturing and warehousing space on approximately 21 acres. This build-to-suit/lease project includes client-specified features such as multiple truck docks, color-coded piping, and epoxy-sealed concrete floors. The building is designed to allow for future expansion. Woodward Commercial Realty worked with state and county officials to provide incentives for the client to install a rail spur for transport of materials to and from the facility.